Imagine how easy it is if a command is given and a task is completed. Well, it’s not daydreaming. There are few best business apps and tools which helps you to achieve the same. You just need to give instructions like sending email, completing a routine task or finding something from internet everything controlled from voice command. It is like Google Home Speaker or Alexa device which can ease out your job. The Best Business Apps are intended to increase business productivity and efficiency. These business apps ease out the life of the business owner. It is known fact that starting a business and running it successfully is not child’s play. You need to train yourself for doing numbers of jobs at the same time. You might need to clone yourself to set everything right. 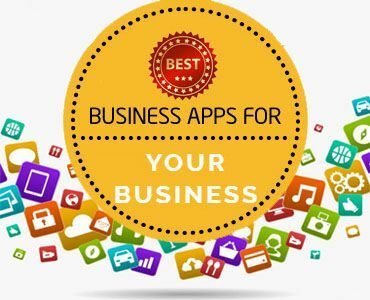 If you are frustrated with a number of tasks and looking for a magic wand that helps you to enhance your business productivity, here is a list of 10 Best Business Apps at your disposal. The list contains both free and paid apps. For better understanding, I have divided these business apps into following categories. The first best business app is IFTTT. It is one of the most powerful free app available for both Android and iOS platforms. The main purpose of IFTTT is to automate the task. This app connects app, devices, and services from different developers and provides you control. You can control everything around you with your voice and Amazon Alexa or Google Assistant. You can perform series of automatic activity by using IFTTT. In IFTTT, one event gives trigger to other for completing action automatically. RoboTask is a second-best business app in the list. RoboTask as the name suggests, it is for automating repetitive tasks. It is windows based tool. This tool helps you to automate mundane task such as checking email, moving or backing up files to uploading or downloading, sending email etc. It is paid tool. However, you can use this tool for 30 days’ trial. Trello is one of the best business apps that keep tracks of everything. It is project management app recommend for small and medium business. It is a free app available on Android platform. You can organize various task, create a workflow, assign a task to yourself and coworkers. You can even create boards organize anything on which you are working. ZOHO books is best accounting app for the business. ZOHO books provide a facility for invoicing, inventory, GST return filing, bank reconciliation and reporting. It is the best tool for the small and medium enterprise. It is paid tools. It comes with multiple other modules such as CRM Module for sales and marketing, IT helpdesk tool, HR tool for recruitment etc. Expensify is spent management and control app. Expensify helps you to streamline business travel and tax compliance with expense reports. It is one of the best business apps for small business. Expensify paid app that allows you track your expense. An Advance version of Expensify helps you with reconciliation, multistage workflow & ERP integration. Fuze is one of the best-unified communication apps for your business. From voice, video to messaging this app fulfill almost every communication need of business. You can even do content sharing, webcasting and web conferencing using this tool. You can use this app both on the desktop and at mobile. Slack is cloud-based team collaboration tool. It is one of the best business apps. You can share and edit documents and collaborate online with your team using Slack. You can also search through knowledge database that is indexed automatically. Organizing task and collaborating with the team is very easy by using Slack. You can use this app even on your mobile. Rescue Time is one of the best business apps for time management. This app runs in the background on your mobile and computer and track time spend on each application and website. You can get detailed reports about time spent and activity performed. A paid version of this application performs a premium task such as detail report, alerts, blocking etc. This app is available for all types of OS. Remember The Milk is a free app that helps you to manage everything you have to do in coordination with many different devices. This tool is compatible with mobile, computer, Gmail, Outlook etc. You can assign a task to others and get notified of actions. MailChimp is a marketing platform for small business. You can create an email list and send beautiful emails to customers. This tool provides you advance analytics report showing click rate. It is a web-based tool which offers free email facility up to 2000 subscribers. Are you using any of the best business apps mentioned above? Do share your views and experience in the comment section given below. « Digital Loan against Mutual Funds (LAMF) – Should you opt?